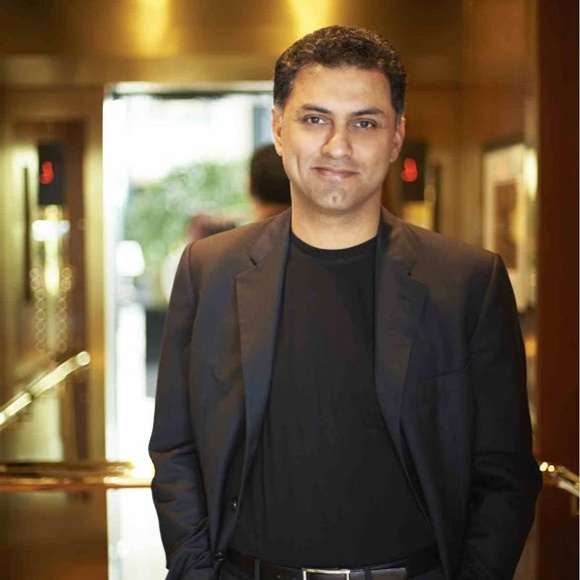 The son of an Indian Air Force officer, Nikesh Arora worked for a brief period at Wipro, selling computers. Raghu Krishnan profiles the flamboyant business star. 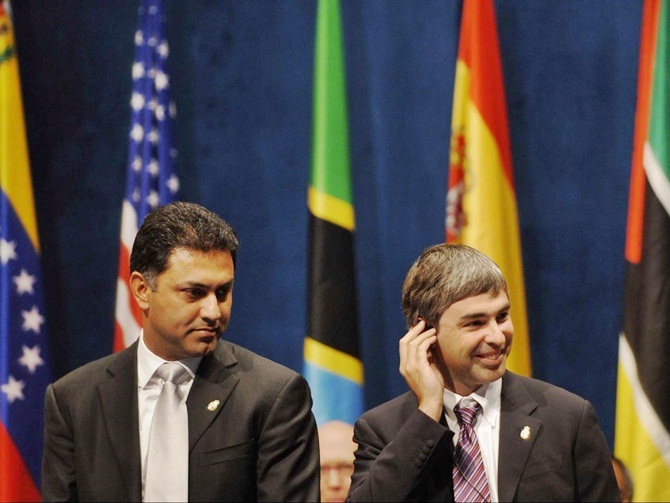 Nikesh Arora has a rock star image in Indian start-up world. As president and chief operating officer at Softbank, Arora wrote unprecedented cheques to Indian start-ups — Oyo Rooms, Housing, Ola Cabs, Grofers and Snapdeal. The size of his investments has only been matched by Lee Fixel, who heads the private equity and venture arm of Tiger Global. While Fixel rarely opens up, Arora has a flamboyant personality. Son of an Indian Air Force officer, Arora, who studied at various places across India, has an engineering degree in electronics and worked for a brief period at Wipro, selling computers. He then moved to the US to do his MBA and then joined Fidelity Investments as an analyst. From there, Arora shifted to Putnam Investments to track the telecom sector and quit it to start a venture in 2000 to provide value-added services to German telecom operator T-Motion. In two years, his firm was acquired by T-Motion, which became T-Mobile after merging with Deutsche Telecom. Arora, an aggressive seller, rose to the board of the company. In 2004, while he was looking at starting another venture, a discussion with a friend got him to meet Google founders Larry Page and Sergey Brin, who were looking for someone to head the European operations. He quickly rose to become Google's head of global sales and chief business officer. In 2013, his annual compensation package was $57.1 million or Rs 344 crore (almost Rs 1 crore/Rs 10 million per day). 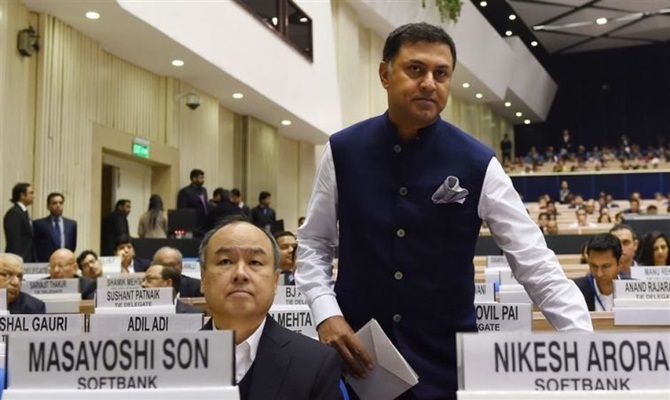 The following year, Softbank CEO Masayoshi Son poached Arora from Google at a mind-boggling annual compensation of Rs 850 crore (Rs 8.5 billion). Around the same time, Arora married Ayesha Thapar, a wedding which was attended by the Who's Who of Silicon Valley and Hollywood stars Brad Pitt and Angelina Jolie. Son, who looks at early trends in technology and an early investor in Alibaba, had declared that Arora would be his successor. Soon after this, Arora stepped up his investments in India. His investments include Housing.com, Oyo Rooms, Snapdeal and Ola Cabs. No wonder, Softbank became the single largest investor in India's start-up ecosystem with a commitment of over $1 billion. Arora was being mobbed by budding entrepreneurs at events, including the Startup India event hosted by Prime Minister Narendra Modi. Arora also brought Son to India and convinced him to commit long-term investment. He also helped sign a three-way joint venture between Bharti Enterprises, Foxconn and Softbank to get into renewable energy space in India. As the winter in start-up investments began in late 2015, Arora said there was need for consolidation in the e-commerce space in India, a statement that reverberated in the industry and start-ups began struggling to raise fresh funds. As belts tightened globally, investors began scrutiny of investments made in start-ups. The flamboyant salesman's actions were also questioned. In April, Softbank investors asked for a probe into Arora’s investments, particularly in Oyo Rooms and Housing, charging that he was overpaid. An internal probe on Monday absolved Arora of charges with Son reiterating his belief in his deputy. The charges also seem to have shaken Son, who had earlier thought of retiring early. 'Masa wanted to be CEO for longer, I did as promised, time to move on,' Arora posted on Twitter on Tuesday. Arora will be in an advisory role in SoftBank for another year.